We are delighted to announce that we have been awarded five stars for the seventeenth consecutive year in the holiday village category in the Visit England quality grading scheme for hospitality excellence. The assessors visited the Resort in one of our busiest times on 22nd and 23rd January 2019, while hosting the Just 2019 World Indoor Bowls Championships, but our wonderful team ensured that we once again achieved our high standards. In the quality assessment scheme, Visit England looked at cleanliness, quality and maintenance of facilities, choices available, customer service and friendliness. 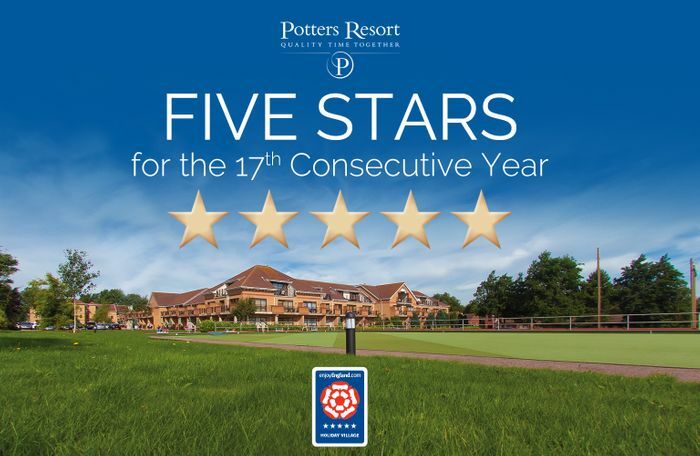 As the first five-star recipient of this category, Potters has held the Holiday Village grading the longest. At Potters we plough back millions of pounds into the Resort every year to be reinvested, which has recently included a large-scale refurb of our hotel rooms. We also spend millions of pounds on entertainment every year, with new productions from Potters Theatre Company every year and star acts visiting in 2019 including Jane McDonald, David Essex OBE, Brian Conley and more to be announced… all for your entertainment! Tracyjanepaulaperry - This place never fails to amaze me. I call it my happy place. All staff amazing, our waiter Matt was superb. Entertainment to a very high standard, fun laughter and all the usual antics. The room was spacious, spotlessly clean and warm. Food fantastic with lots of variety. The daytime entertainment and sport choices were again always top class, even found time for a little relax in the pool and spa. I will always recommend this place. Even Mr Potter takes time to come and introduce himself and asks for feedback. Totally old fashioned, traditional customer service that makes you feel part of their family. Love it. 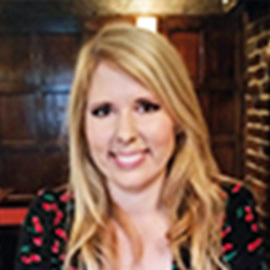 Natalie h - Just home from a mad weekend and cannot fault it, everything was perfect, the food was amazing (so much of it), entertainment amazing, better than West End shows, staff all very helpful and happy our hotel room was extremely clean with the most comfortable beds ever. Look forward to our next visit. Angt67 - Absolutely fantastic to place. Everything about this place is brilliant. We stayed in a bungalow plus with a sea view, and it was lovely and clean. The food is top notch and had no complaints at all. The staff are a credit to this company, and they all work so hard and all are so friendly. The entertainment was brilliant, and there is things to do all day and evening. I would definitely recommend staying here to anyone. _Grahammcollyer - First time at Potters to watch the world indoor bowls. It was a superb break, from the first moment we arrived to the day we left. To see the bows live was the highlight of our stay but the shows were outstanding and the food, well so much I challenge anyone not to put on a few pounds with four meals a day. There is of plenty of other things going on if bowls is not your thing and I would definitely recommend a break a Potters. Smudgetravellers - Went for a 3 night break at Potters and we had a lovely time. Everything was as we expected. It was a Best of British break and I can highly recommend. We also had a 5 course meal with wine on the Sunday evening to see the Upbeat Beatles and the Band British Invasion, there was a comedy act Mick Miller he was brilliant. We had amazing meals, the food is special. Marionjt52 - There's nothing negative I can say about Potters, the accommodation, the food, entertainment, the friendliness of the staff and all over cleanliness was first class.